Hate those wine clubs that feel like a ball and chain? Good, because we hate them too. Do you love our wines but want an easier way to get a regular supply of great wine without having to pick every bottle every time? Say hi to WineWizard, where it all just happens like magic. Just tell us WHAT, HOW MANY, and HOW OFTEN you want wine. Then click SIGNUP and you're done - now that's quick and easy. How yummy can I go? WineWizard is like a wine club for people who hate wine clubs. Just set it once and snooze - and we'll deliver a case of stonking wines based on your personal tastes as regular as you want. Or, be a total control freak - pick your own wines, tell us how many and how often, AND change ALL your wish list whenever you want. Love it, sign me up! Easy to start up - saving you time. Can run on complete cruise control - saving you the hard work. Or you can change gear and direction any time - so you stay in complete control. Perfect for lazy bones, time-poor busy bods, or total control freaks and people with other issues, who love drinking the best wines in the world all year round and can't be done with supermarket rubbish. No money required up front, you see every case before buying, and you can change or skip a case, and cancel any time. Anything we forgot? 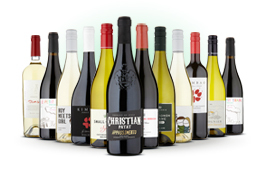 Yep, you get the good stuff at wholesale prices - 25-50% off RRP, because by drinking our wines all year round you're supporting our winemakers. Plus FREE delivery on every case, saving you a fiver, woo-hoo! AND it all comes with our lifetime money-back guarantee on every bottle - you don't like it, you don't pay. Ever. You use the drop-down buttons above to let us know your basic choices - the style of wine you love most (red, white or either), how often and how many you're likely to want. Then you click 'tweak my wines' and use the sliders to fine tune your preferences. Here you can see and change the actual wines you'll get in your next case. You can adjust your wine quality between everyday wines (our standard wines), sweet spot (seriously gorgeous wines) and our real top shelf fine wines. You can switch between 3 monthly, 2 monthly and monthly. You can do all this from your WineWizard page, logging on and playing around with your settings all year round. Or if you're especially busy just set things up once, put your feet up, and we'll wing a new case of wines your way as often or as little as you've told us to. Near your delivery date, we'll email you a reminder of the wines in your latest case and you can put your feet up while we do all the hard work. You can skip any case you don't want. Angel? Because you save £20 a month in your Angel piggy bank, helping our winemakers with upfront funding, we (very gently) throw in a FREE bottle with every case. Angels also get 25-50% off every bottle of Angel exclusive wine, as your reward for crowd-funding our winemakers, making these gorgeous artisan wines possible. When you've drunk the wines you can rate and score them - so we learn your likes and dislikes for future cases. 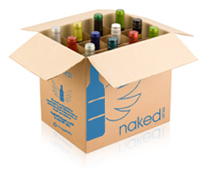 You get our nailed-on, 100% money back guarantee on any bottle you don't enjoy. Sound good? We've made the WineWizard a doddle to set up. If you're in a hurry you can be done in 10 seconds, bish bosh. If it's a rainy Saturday, feel free to fiddle with all the knobs, buttons and sliders for as long as you want, while watching the pigeons get wet outside. I'm in, let's get cracking! Sounds like my kinda club, let me in! Meet the people who make it happen! I'm ready and willing, take me to the top!